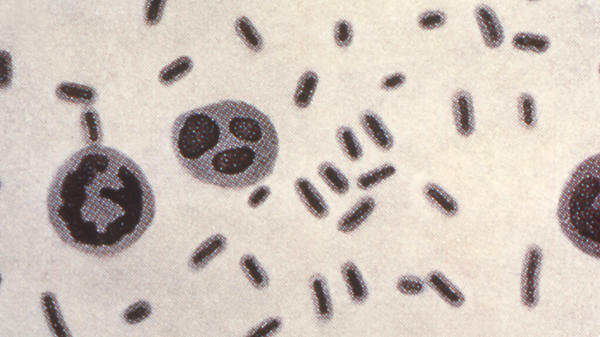 This illustration depicts Klebsiella pneumoniae bacteria, which can cause different types of infections, including pneumonia, bloodstream infections and meningitis. The woman described in the report was in her 70s and treated in a hospital in Reno. About two years ago, on an extended visit to India, she broke a thighbone, according to the report. She had several hospitalizations in India because of infections, says Dr. Lei Chen, of the Washoe County Health District in Reno and an author of the MMWR report. 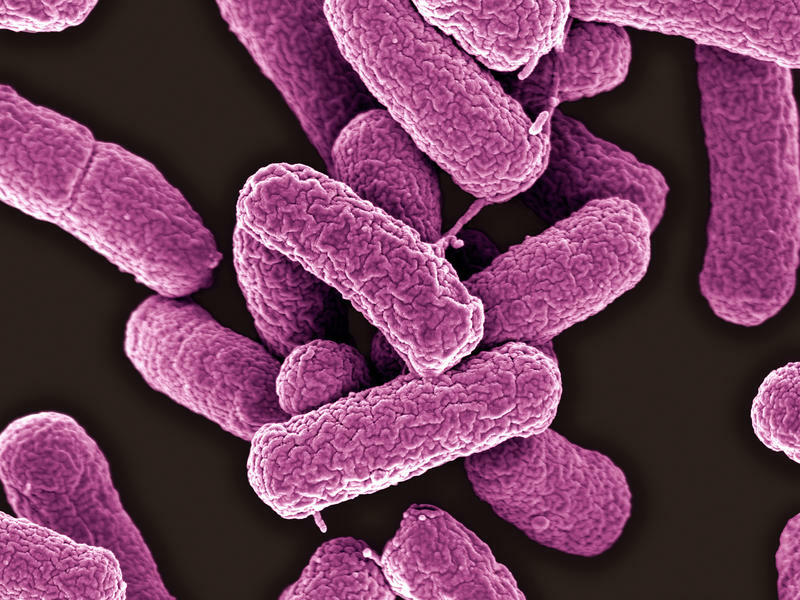 When the patient was admitted to the Reno hospital, health workers discovered that the bacteria specimen tested was resistant to a class of antibiotics called carbapenems — carbapenem-resistant enterobacteria. "Before, we could go to carbapenems, and they could reliably squash the bugs," says Johnson. "This case broke down even our last great gun." A germ that can't be treated with an antibiotic that is often used as the last resort has shown up for the first time in the United States. Government scientists say the case is cause for serious concern but doesn't pose any immediate public health threat. The germ was discovered in a 49-year-old woman in Pennsylvania with a urinary tract infection. The infection was caused by E. coli bacteria that had a gene that made them resistant to an antibiotic known as colistin.